After months of frantic juggling, I finally found time on Memorial Day to sit down and dig into this primo piece of paramilitary fiction. And I can see why it's so popular. PRIMAL is a Private Military Company that is, uniquely, privately funded. They don't fight for profit and they owe no allegiance to any particular government. 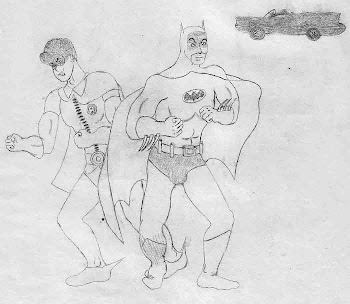 If Bruce (Batman) Wayne's parents had been killed by terrorists instead of street criminals, and he wasn't comfortable wearing tights, he would run an organization like PRIMAL, righting wrongs around the world. In the prequel, PRIMAL: Origins we learned how this organization came to be. American ex-CIA man Vance and his IT wizard, Chua, are the brains of the organization; but the real stars of this story are newcomers Bishop and Mirza. It seems the Russians developed a nerve agent deadlier than any other biological/chemical warfare asset, and now a Ukrainian arms dealer is about to sell it into the wrong hands. There are 3 different interests struggling for possession of this weapon; PRIMAL wants control so neither of the others have the opportunity to use it. During the course of the mission Bishop crosses paths with beautiful Iranian spy Saneh. She's a great character and brings sexual tension into the mix...and neither the good guys nor the reader are sure to what extent she can be trusted. The novel really hits its stride about halfway through. The plotting is nicely done and the action is suspenseful. By the end, the main characters are beginning to shine. Primal: Unleashed isn't just set up for a sequel...it's set up to be a whole series. Author Jack Silkstone takes advantage of the digital nature of the book by including links, for those who want to know more, to webpages about some of the specialty weapons, equipment, etc. his characters use. (Why didn't I think of that?) He also includes images of aircraft and such to better help the reader visualize. Some of his dialog is a little too on-the-nose in places, but the overall quality of the book is much higher than a lot of the men's adventure from yesteryear, and far above most of the indie-published e-fiction available today. MEN'S FICTION AUTHOR FROM THE '80S GOING E-BOOK! 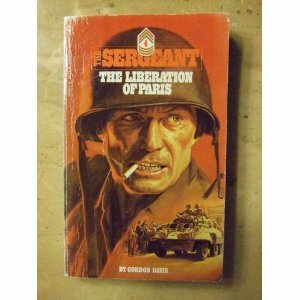 My introduction to men's adventure novels, and war fiction, was The Sergeant #4:The Liberation of Paris by Gordon Davis. Up until I cracked open that paperback, I had never read anything like it before. I turned pages in a stunned trance, eyeballs dilated, jaw slack, visions of bayonet duels dancing in my head. With this new literary universe to explore, I began collecting similar books. (It took me years, but I now have the entire Sergeant series in paperback.) Another series I collected was The Ratbastards by John Mackie. It was also a WWII series, but set in the Pacific rather than Europe. At the time, I took the different author names at face value, but couldn't help noticing similarities in style, phrases in the dialog, and certain recurring sequences in different battle scenes. 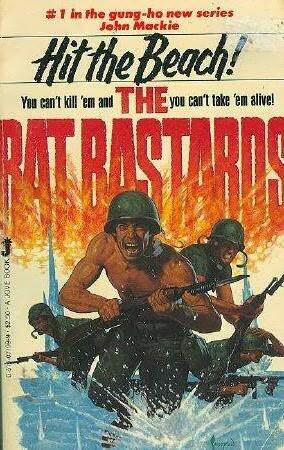 The main protagonist in both series is a big, tough, battle-scarred Master Sergeant in the infantry--Clarence J. Mahoney in The Sergeant and John Butsko in The Ratbastards. Both have loyal junior NCO sidekicks that were once innocent all-American boys, but are now the best soldiers in any man's army. For the rest of the article, visit Virtual Pulp Press! Please excuse my overly-intellectual critical response, but...GOOD LORD! HOLY CRAP! HELL'S BELLS! 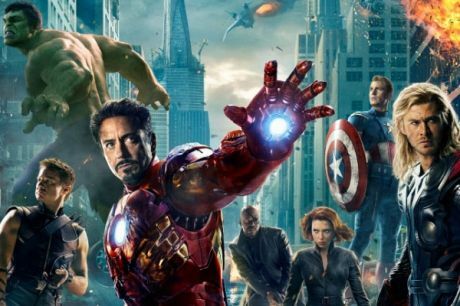 I had high hopes for The Avengers movie and boy, did Hollywood deliver this time. There were so many ways they could have gotten it all wrong...but for the most part, they didn't. My inner comic book nerd has been seduced by the screenplay and the special effects. Director Joss Whedon has pulled off a refreshing effort to both stay somewhat loyal to the source material and make it palatable for the non-comic-savvy. 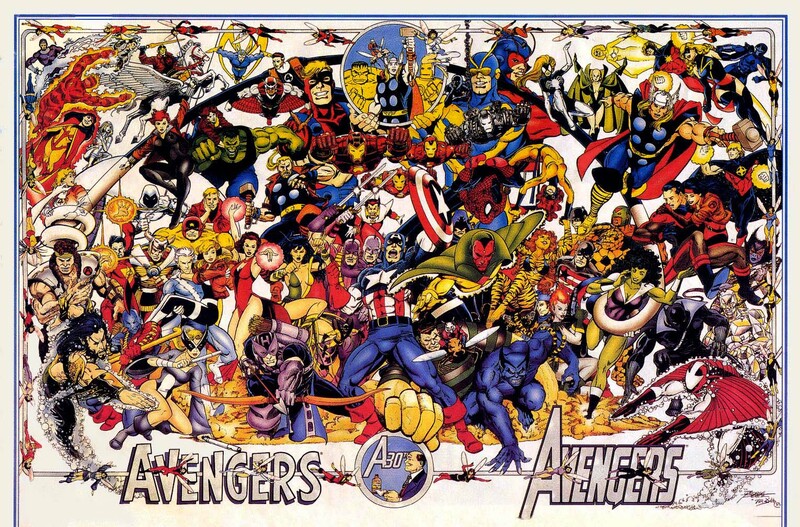 See, I was a fan of The Avengers back when the only attempts at screen adaptations of Marvel Comics were laughable, and few but comic aficionados knew that "the Avengers" were something besides secret agents on a TV show. For me, Iron Man, Captain America and Thor were the core of the group; there was boocoup conflict among the characters, both hero and villain; and slugfests aplenty (in true Marvel fashion, often between the good guys due to misunderstandings). Whedon and his screenwriters delivered on all counts. In a film adaptation of any sort of book--graphic or prose--certain characters usually need to be combined or deleted to save screen time. I think omitting characters like Moondragon and the Vision was a good call--they never added much to the Avengers, IMHO, anyway. Occasional members like Wonder Man and Captain Marvel/Miss Marvel were rightly passed over, too. Personally, I would have preferred She-Hulk to the Black Widow, but since the He-Hulk is a member in the screen version, that would have been redundant. I haven't picked up a comic in many years, so I don't know what the Avengers are like right now...or have been like. But though I think the Hulk (the gray, intelligent version?) was a charter member in the '60s, he rarely appeared on the roster during the days when I read it. Like Thor, I never had an interest in following his solo exploits, but enjoyed his contribution to the team efforts. (BTW: it seemed the Marvel staff never completely decided whether the Hulk was more powerful than the immortal Thunder-God, and it's probably good that they didn't.) Both of them were assets to the team in the film version, and extremely fun to watch. The visuals of Thor calling lightning with his hammer were downright stunning--possibly the best comic-booky shots ever composed on the big screen (though one shot from The Rocketeer is still a strong contender as well as, believe it or not, a sequence from Superman Returns). And in a movie liberally seasoned with humor, the Hulk provided, hands-down, the most gratuitous laugh-out-loud moment. During said moment the theater erupted in belly laughter and I literally cheered and clapped. Let me assure you: I never do that during movies, no matter how much I enjoy them. At least I can't remember ever doing so before. It's a scene I could watch over and over and feel a rush every time. Whew! Personally, I always liked it when former X-Men the Beast and (to a lesser extent) Cyclops were on the Avengers' roster. Also the Thing and the Human Torch from the Fantastic Four (I always liked the Thing better than the Hulk, but was in the minority in that respect). All of these have now appeared on the big screen, too. And my favorite Marvel superhero (followed closely by Iron Man), Spiderman, was not a member of the Avengers in the comics (though he was an occasional guest-star), but I thought he should have been. He will likely never be an Avenger in the movies, either. I always thought the Black Panther was cool, too...at least potentially, as an Avenger...as was Giant Man/Yellowjacket/Ant-Man. I won't complain that none of these heroes were cast. For one thing, it would be hard to manage so many extra characters correctly during a feature-length film--even a 2&1/2 hour feature. Long-time Avengers stalwart Hawkeye was a solid choice for the cinematic superteam. The un-powered archer, as a member of this superteam, was always a small fish in a big pond. But the writers usually figured out how to make his contributions seem relevant. The Black Widow was an interesting choice to round out the team for the big screen. Like I said: I haven't followed the comic for a long time; so maybe she's not such an obscure minor-league character anymore. It's a given that the obligatory Hollywood feminist weltanshaung requires at least one amazon superninja in every action movie (and it doesn't bother me so much in a story about a team of superheroes) who asserts her physical superiority over a man in at least one scene. But it seems the Wasp, Scarlet Witch, Tigra or even the Black Cat would have been more logical choices. Still, it's hard to complain about seeing Scarlet Johansson in black spandex. And speaking of costumes...the most faithful one in this movie was Captain America's. Surprising. I tend to be a purist, but wouldn't have minded if they kept the WWII version from his own movie. Well, I guess the Hulk was dressed pretty much exactly like he is in the comics. And Iron Man's armor is close and looks great. 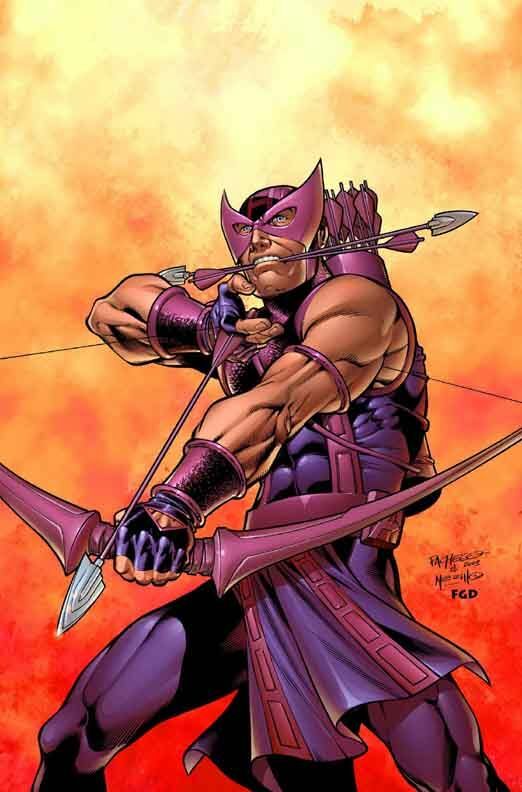 Hawkeye's looks nothing like his outfit in the comics. Maybe that's a good thing, given people's aversion to bright colors in real life. But no mask? Just seems wrong. He should at least have a helmet--like a modified chopper helmet with drop-down sunscreen and a Heads Up Display with targeting optics and so forth. Speaking of helmets: Why doesn't Thor have his? I can probably answer these questions myself. Many superhero flicks discard the idea of "secret identity," partially justified by Marvel's Civil War series, which is probably the reason for Tony Stark's idiotic outing of himself as Iron Man at the conclusion of the first shell-head movie. Also, Hawkeye and Black Widow, in this universe, are government agents (of S.H.E.I.L.D.) and therefore not living double lives, with family or friends behind white picket fences that their enemies could go after. Same with Steve "Captain America" Rogers, which makes you wonder why he bothers with a mask. So why does Thor eschew his helmet in the movie? I mean, it wouldn't obscure his face or his girly blond tresses either when fighting or delivering noble, nigh-Shakespearian dialog. Probably because the actor would feel silly wearing it. 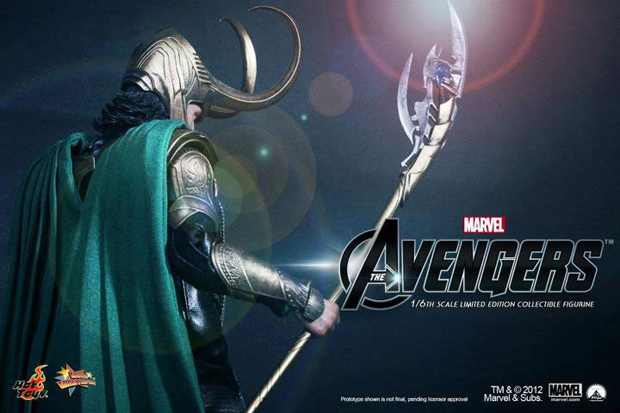 Why, then, does bad-guy Loki wear his far more conspicuous helmet for much of the film? I don't understand all the costuming choices, but I can live with them. Especially with an action flick as well-written and well-executed as this one. It's impressive that suspension of disbelief can be maintained throughout a feature film with such incredible subject matter. And the chemistry of the cast is just about perfect. We are treated to Marvelesque skirmishes between Thor and Iron Man; Thor and the Hulk; and all the Avengers against an evil alien invasion force that seems vaguely familiar from the comics (I didn't read Fantastic Four much, which is where I think they were lifted from). The special effects are really something--even without the gratuitous massive destruction in New York City and SHIELD headquarters. Until now, I ranked Batman Begins the best superhero movie made, with Iron Man I in second place and Captain America somewhere up there, too. I think we have a new champion, folks. With it's box office success, I'm sure there will be a sequel. Almost every time a film maker shoots a sequel, they attempt something even bigger and better than the first...and accomplish just the opposite. Since evidently the Avengers will be squaring off against Galactus (another Fantastic Four regular) in the next installment, the "bigger" plot looks like a done deal. Whether Whedon (or whoever) can make another Avengers flick as good as this one is something I will anxiously await to determine.